For those with limited space for gardening, building raised beds can be an inexpensive method of maximizing the square footage of your yard. The strawberry pallet planter tutorial provided by Lovelygreens.com above is a simple project that can be built in a single afternoon for a very low cost. It could also be used for growing potatoes, straw-bale gardens and much more. As with all pallet projects, be sure to find pallets that are stamped HT for heat-treated; which is the method used to preserve the wood in the pallet. The other method is Methyl Bromide fumigation; which creates a health risk and should not be used for projects; especially this planter that will be in contact with food. For those that have an issue watching youtube videos due to internet service; you can see the complete tutorial at the following link. 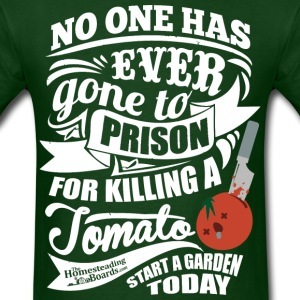 Good luck with this year’s garden. 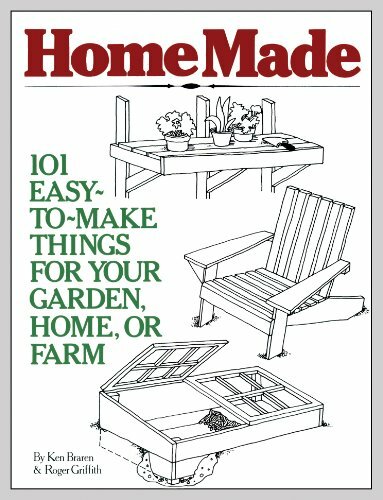 Here are complete, easy-to-follow directions for 101 homemade items that will save you time and money. Projects include things for your home (such as a tool box, a basement closet, a fuel sled, a solar drier, and a window greenhouse), your garden (compost boxes, cold frames, soil sifters, fences, and tomato supports), and your farm.